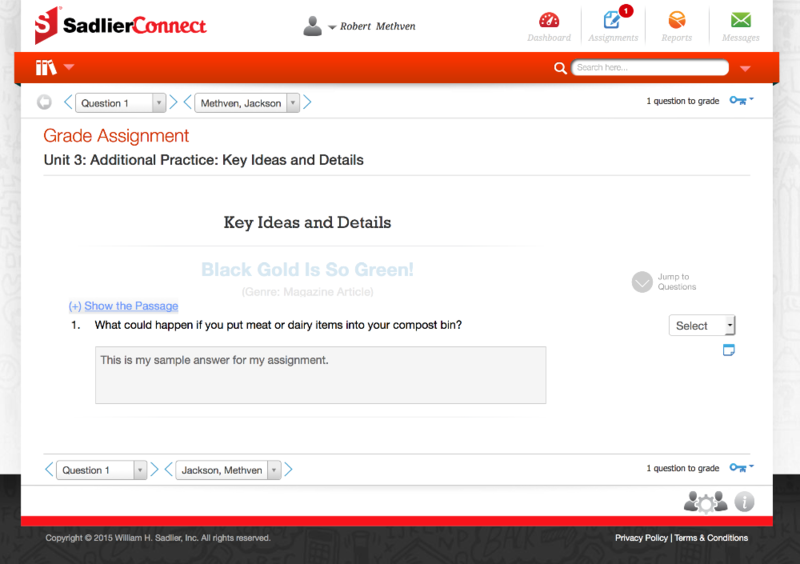 Grade Assignment has been enhanced to focus on one student's answer at a time. We had a bulk grading screen previously, but realized that most of the time when one needs to grade an assignment there is an extended answer from the student. These extended responses from multiple students at one time made it hard for the teacher to focus on the task at hand, grade the student's assignment. You will not need to use the screen that often as Sadlier Connect will score most assignments automatically. However, when you do, it will be much easier to grade the student's assignment.